The minimum interior shower size is 30″ x 30″ or 900 square inches, in which a disc of 30″ in diameter must fit. The shower controls should be accessible from both inside and outside the shower spray and be located between 38″ and 48″ above the floor depending on the user’s height. Grab bars should be placed at 33″ to 36″ above the floor and must be 1.25″ to 2″ in diameter and extend 1.5″ from the wall. If you’re including a seat, your shower should be at least 54″ x 36″. Having a seat is a good idea if you want to sit down or scrub your legs easily. If you want room for two shower heads, your shower dimensions should be at least 60″ x 36″. Generally, your shower heads should be about 72″ A.F.F. (above the finished floor), depending on your height. Handheld shower heads are great if you don’t want to get your hair wet or if you have trouble cleaning those hard-to-reach places. Handheld shower heads are also great for, if anything, cleaning your shower. The biggest challenge when designing a shower is water consumption. Tankless water heaters can help, but it’s important to discuss with your plumber. 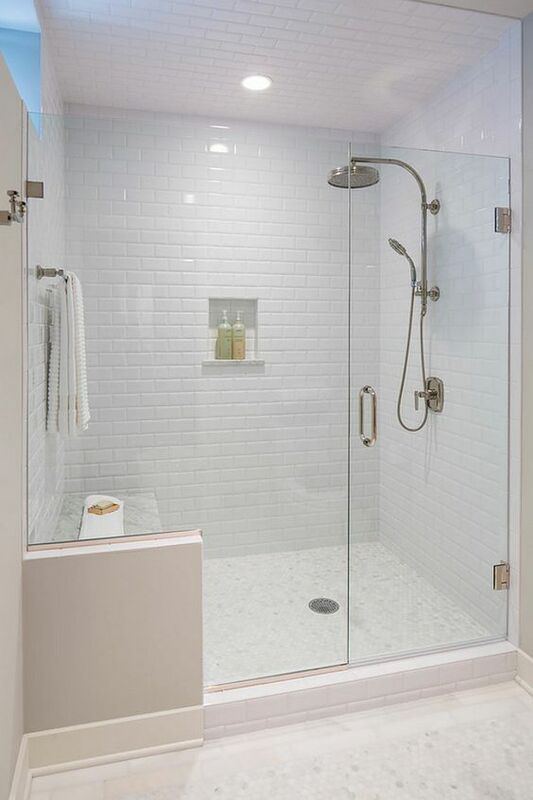 Shower doors should extend to about 80″ – 84″ A.F.F. 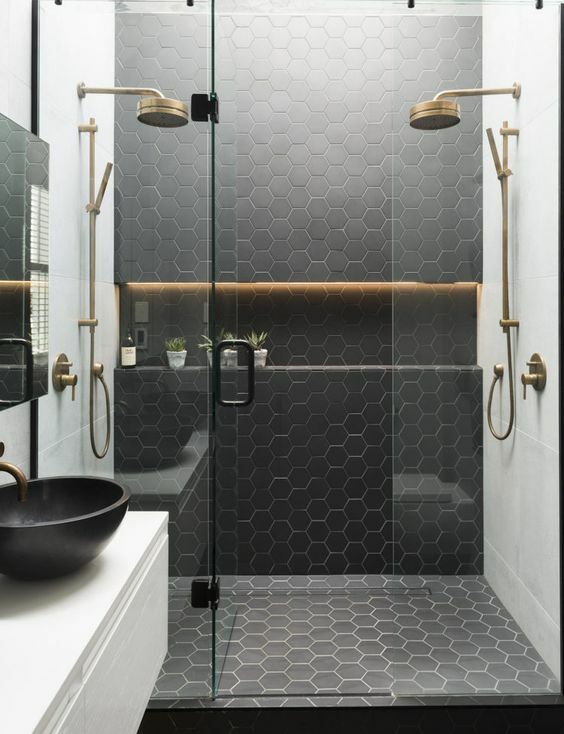 Doorless showers are becoming more popular, but it’s important to keep shower head placement in mind so that water doesn’t leak out into the room. 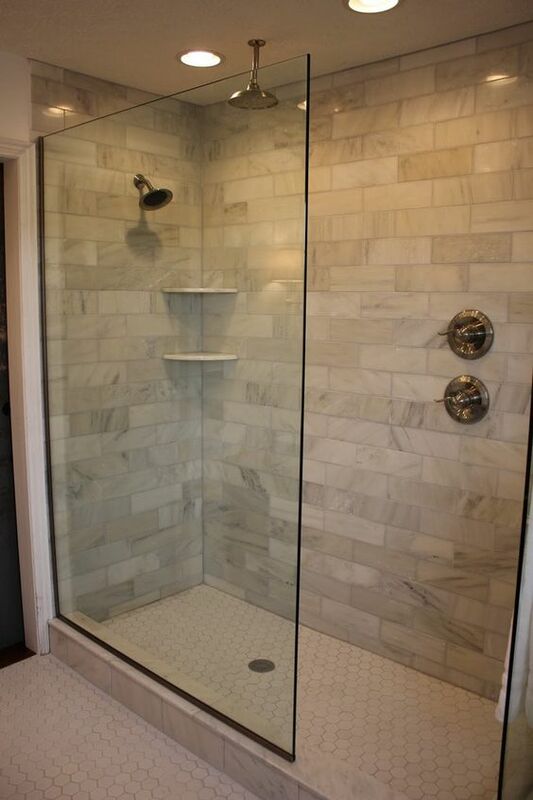 You want at least 2.5′ of space between the threshold and the main shower area. Keep in mind that your valve can be placed apart from your shower head, allowing for valves near the entrance with the head a safe distance away. 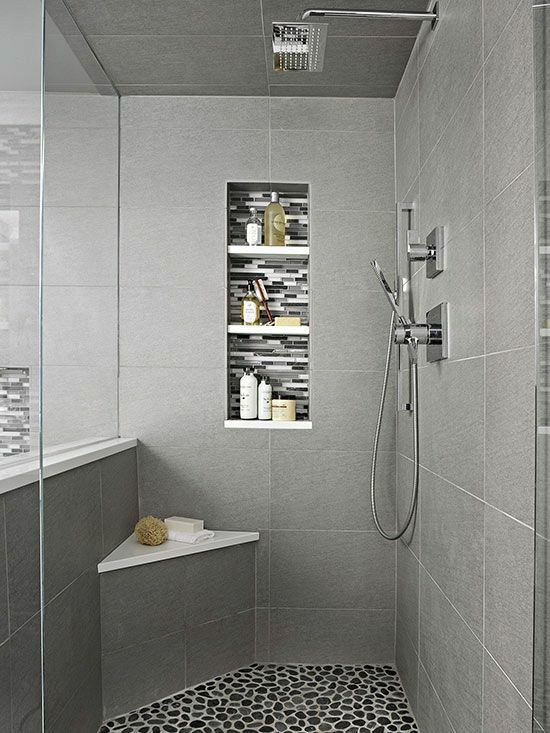 Curbless showers look fantastic and are great for accessibility. For more info on curbless showers, check out our previous blog post.